We make you a Website! This $99.00 special is limited to a single page only. After completion, updates and upgrades are billed separately at the regular rate. WordPress sites are limited to WordPress system technology. Dyersville New Media will place the required WordPress Software on your SecureNet Server, including the MySQL Database. We will then help and teach you WordPress as we build your Website together. 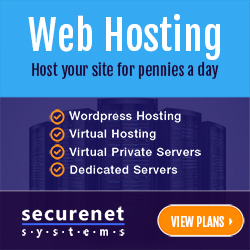 You supply the SecureNet Domain Server, Graphics and Text. We will show you how to maintain your site as well as keep it up to date. DNM will help you control your Website so you are able to maintain high search engine placement. This $199.00 special is limited to three (3) page construction and tutoring. After completion clients are may contact Dyersville New Media with a limited number of questions or assistance. WordPress sites are limited to WordPress system technology. This is a LIMITED SPECIAL subject to change without notice. Clients are responsible for the cost of their own Paid WordPress Theme (should you choose not to use a free Theme), Plug-Ins and Widgets. Dyersville New Media is also able to assist with Search Engine Placement. We can help your business or station with Social Media Content.